The government of India on Monday has issued a series of guidelines for states to regulate the direct selling sector. This implies that the Rs. 10,000 Cr industry could come under the strict Consumer Protection Act, 1986. Many steps have been taken in an attempt to safeguard the interest of individuals involved in this industry. The guideline clearly prohibits the use of pyramid structure and money circulation scheme. In the year 2014 William Pinckney, managing director & chief executive officer (CEO) for Amway was wrongly arrested under the Prize Chits and Money Circulation Schemes (Banning) Act, 1978.This arrest had put a question mark on the legitimacy of the direct selling industry operating in India. For a long time, direct selling companies operating in India has been the soft target and unfairly identified as the fraudsters. With these new guidelines, it is hoped that the industry will see a direction and clear rules that differentiate them from Ponzi and pyramids schemes. Ministry of Consumers Affairs, Food & Public Distribution Department of Consumer Affairs has issued an official Memorandum on September 09, 2016. Model guidelines on direct selling have been formulated on deliberation of the Inter-Ministerial Committee and consultation with the stakeholders. The State Governments and UT’s will take necessary action to implement the same. The State Government will have to set up a mechanism to monitor and supervise the activities of Direct Selling industry. The memorandum also states that all direct selling entity conducting direct selling activities will have to submit an undertaking to the Department of Consumer Affairs that it is in compliance with the guidelines issued and also provide details of its incorporation within 90 days. These guidelines will help regulate the Direct Selling and Multi Level Marketing. It also aims at strengthening the existing regulatory mechanism on Direct Selling and MLM and preventing fraud and protecting the interest of consumers. Direct Seller refers to as a person authorized by the Direct Selling Entity to engage in the Direct Selling business. Direct Selling means marketing, distribution and sales of goods. It also means providing services as a part of the network of Direct Selling other than under a pyramid scheme. Network of Direct Selling means a network of direct sellers at different levels of distribution. 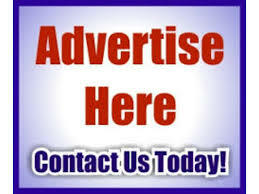 They may recruit or introduce or sponsor further levels of direct sellers who they then support. It can also include any system of distribution or marketing to undertake direct selling business. It can also include the multi-level marketing method of distribution. Direct Selling Entity in the memorandum implies an entity which sells or offers to goods and services through its direct sellers to the consumers. Consumers are individuals who buy the goods and services for their personal use. The goods and services brought should not be for a resale purpose. It has the same meaning as mentioned under the Consumer Protection Act 1986. Goods include all kinds of movable property. It excludes any actionable claims and money as defined in Sale of Goods Act 1930 and section 3(26) of the General Clauses Act, 1897. Services refer to services as defined in the Consumer Protection Act 1986. Cooling off period refers to the time frame within which the direct seller may reject the agreement. Within this time frame, the direct seller will not be subject to any penalty for breach of contract. Sales Incentive means a share of profit payable to the Direct Seller for effecting sale of goods/products. This profit sharing has to be pre-stipulated in the contract between the Direct Seller and the Direct Selling Entity. Pyramid schemes or money circulation schemes have the same meaning as defined under Prize Chits and Money Circulation Schemes (Banning) Act, 1978. A ‘pyramid-scheme’ as per the guideline “ is a multi-layered network of subscribers to a scheme formed by subscribers enrolling one or more subscribers in order to receive any benefit, directly or indirectly as a result of enrolment, action or performance of additional subscribers to the scheme. The subscriber enrolling further subscribers occupy a higher position and the enrolled subscribers lower position, thus, with successive enrollments, they form a multi-layered network of subscribers”. 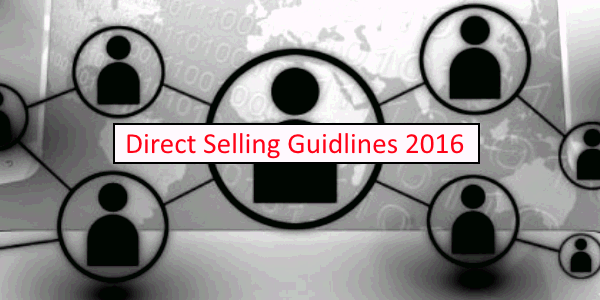 As per the guidelines, all direct selling entities need to follow the below condition. They will get 90 days from publication of the notification in the Gazette to be compliant. The Direct Selling Entity should be a registered legal entity under the law of India. This means that the entity should have sales tax/Vat, Income Tax, TDS and other licenses. Provide mandatory orientation sessions to all prospective direct sellers. The orientation should cover all aspects of direct selling operation including the payout system. The direct selling entity should provide a full refund or buy back guarantee to ever direct seller. Notify the cooling –off period for returning the goods and services purchased by the direct sellers. The promoters or key management should not have any history of criminal offense punishable under the law in the last 5 years. The Direct Selling entity should have an official website. The website should have the names and Identification numbers of their authorized Direct Sellers. The website should provide space for registering consumer complaints hassle free. The Direct Selling Entity should have a consumer grievance cell to ensure redressal of consumer grievances. Payment of incentive not related to their respective sales volume. Supplying or distribution of goods which are inferior. Supply of goods which have exceeded its validity period as per the manufacturer. Direct Selling Entity and the Direct Seller will not indulge in money circulation scheme. They will also not indulge in any act barred by the Prize Chits and Money Circulation Scheme (Banning) Act, I978. Copies of TIN DIN of Directors, TAN, and PAN. Sales Tax Certificate, Service Tax Certificate, CST Registrations. Details of all Sales Tax Returns filed with the authorities. Details Service Tax Returns filed with the authorities. Copies of IT Returns of the company filed with the authorities. The Department of Consumer Affairs will be the Nodal department at the Union level. The representative State Government will be responsible in the States. The State Government will also set up the mechanism for supervising the activities of the direct selling entity. All Direct selling entity will have to submit a compliance undertaking to the Department of Consumer Affairs. They will also have to provide details of its incorporation and other business details as notified from time to time. The new guideline issued by the ministry of consumer affairs is an important step towards safeguarding the interest of the consumer. It will also help to protect the direct selling industry and help differentiate between the fraudulent pyramid schemes. The new guidelines on the direct selling industry have given an operational and definitional clarity. However, an exhaustive legislation for direct selling would further strengthen the position of the industry.